There are so many things you can do with honey. For cooking, I usually like to use a Multiflora Honey. It’s a little sweeter than regular honey but I love the creamy texture. Here is a recipe for delicious truffles that can be made ahead of time for Valentine’s Day. You can freeze them and surprise friends and family with these easy treats. In a food processor, grind up the nuts and oats. Add the peanut butter, Multiflora Honey and vanilla extract. Blend for a few minutes until smooth. Use your wet hands to roll the mixture into rough small balls and place them on a sheet of parchment paper. Place them in the freezer for 15 to 20 minutes, until firm. Melt the chocolate in a bowl and dip each of the balls, completely covering them. 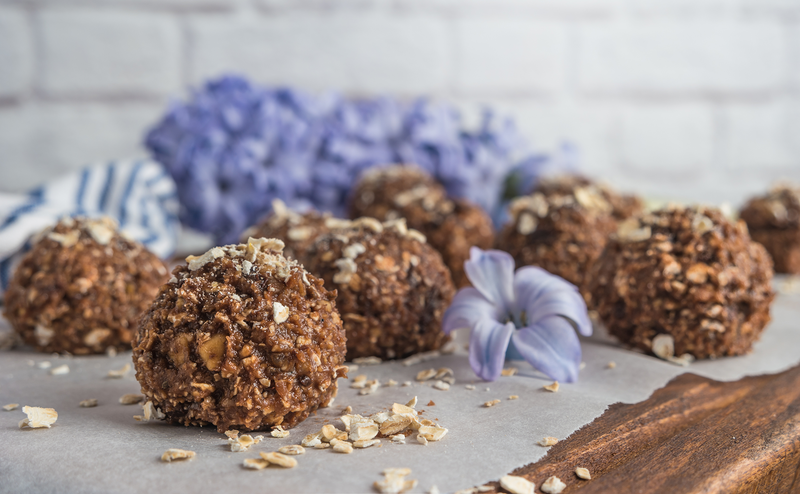 Place balls back on the parchment paper and sprinkle your topping of choice onto each one while the chocolate is still warm. Cool chocolate balls in the freezer until the chocolate is completely dry and firm. Enjoy!